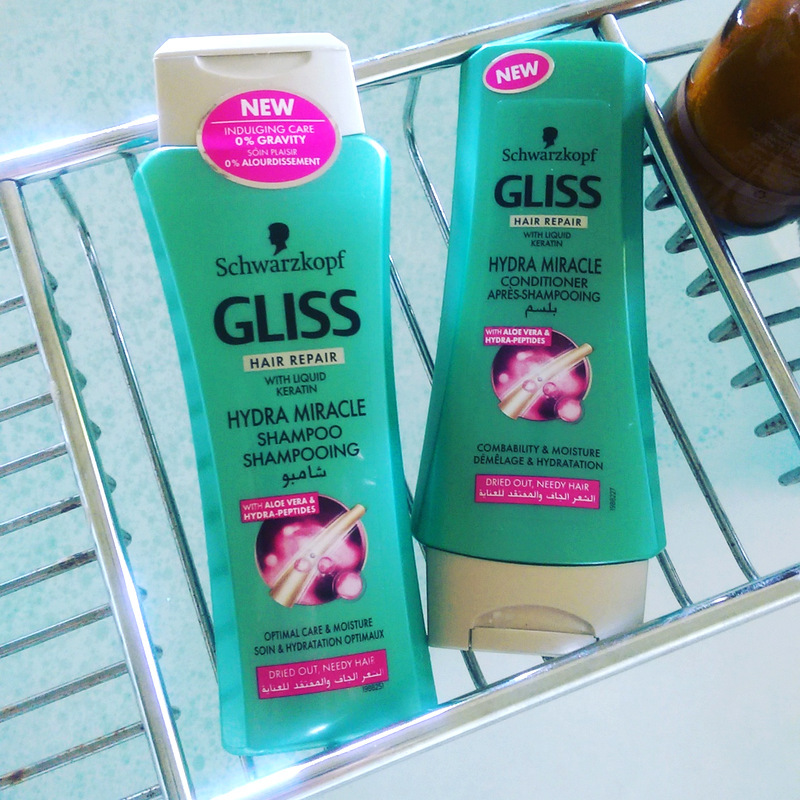 If you’re a regular reader you’ll know I’m a big fan of Schwarzkopf Gliss shampoos and conditioners. I don’t often buy hair care products as I’m sent so much of it but when I do it’s one of the brands I reach for, particularly their Total Repair line. They’re also my first choice when it comes to leave-in spray conditioners. Anyway, the Gliss line-up is always growing (I think they have at least 9 variants at this point?) and the latest addition is Hydra Miracle. It promises to fortify your hair with liquid keratin while giving it a nice dose of moisture thanks to hydrating peptides and aloe vera in a feather light formulation that won’t weigh your hair down. I headed off to Franschhoek the other day for an indulgent midweek break at La Petite Ferme and took the Hydra Miracle goodies along for the ride. How gorgeous was the bathroom? We were in the bridal suite! Having used the sham and con for a few days now I can you it did a lovely job of cleansing and conditioning, putting in just the right amount of ‘hydration’ so that my hair felt silky soft, but still had bounce. While it says it’s aimed at those with ‘dry, stressed’ hair, it’s certainly one of Gliss’ ‘lighter’ formulations, about on par with Liquid Silk (the pale pink range), making it great for anyone wanting hydration but not needing bucket loads of it*. As for the spray conditioner, it’s much lighter and isn’t as instantly ‘detangly’ as some of the other Gliss’s spray cons I’ve tried so you can get quite heavy handed with it without worrying that you’ll send your hair to greaseville should you get it near your roots. In short, Gliss’ Hydra Miracle line is lovely stuff for anyone who wants light hydration without the weight and you can try it yourself should you win the hamper worth R1000 that I’ve got to give away. 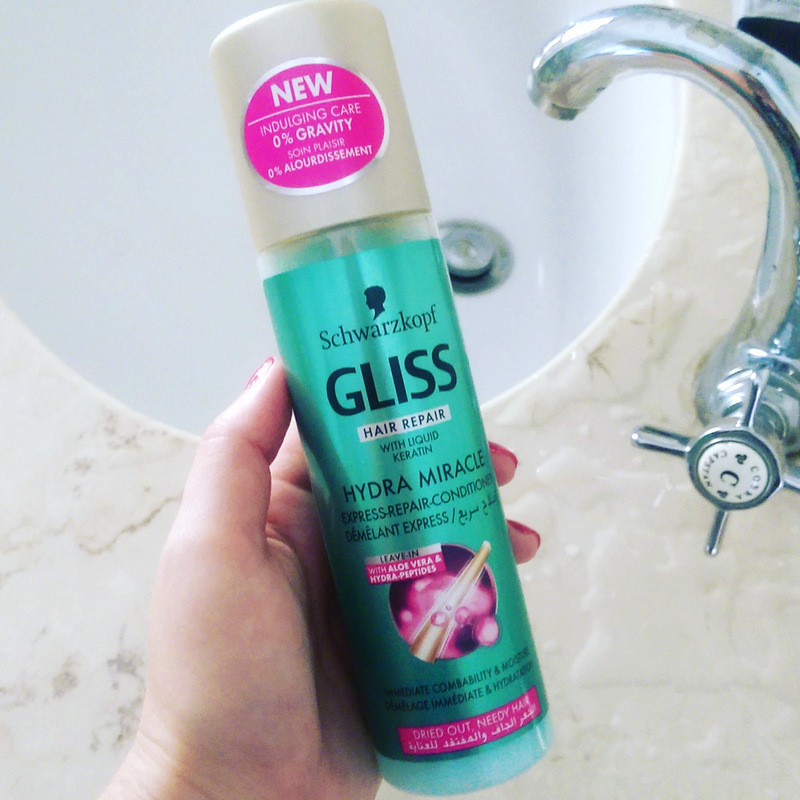 To enter, simply leave me a comment below telling me which is your favourite of Gliss’ lines, it really doesn’t have to be Hydra Miracle. The other way to go into the draw is to hit me up on twitter with the following: ‘Hey @lipglossgirl! I’d love to win a #GlissHydraMiracle hamper worth R1000’ and be sure to include the link to this post. This competition closes at 5pm on Wednesday 27 January 2016. *If you had any kind of mild damage to address, I’d still recommend Total Repair and if you were seriously dry you could try Oil Nutritive or Ultimate Repair of Ultimate Oil Elixer that are definitely the most hydrating out of the bunch. Million Gloss is also super hydrating but very silicone-heavy, making it best for those battling frizz. Hello. I love the Gliss Marrakesh Oil & Coconut range. Congrats Tracy, you won my competition! Will be in touch tomorrow to grab your details so I can get your prize to you fast. Hope you enjoy it! Gliss Hair Repair with Liquid Keratin. My favourite is the Gliss Deep-Repair Range because my hair being is a bit frizzy. I have also shared this giveaway on Twitter (@flutterbymegs). Fingers crossed. I like the Liquid Silk range, but this one actually sounds even better. Oil nutrative. Need to fix all the sun/sea damage from Dec. my hair looks like the top of a rondawel at Nkandla at the moment! I love the Schwazkopf Gliss Colour Protect Shampoo. Gotta say I’m a fan of the Ultimate Repair Care Conditioner. Their products are fab! I adore the Gliss Liquid Silk range and use nothing else on my blondilocks!! Ultimate Repair is the bomb! Hi there! My favourite line is the gliss hair repair with liquid keratin. This is my fave hair care brand to use. Love your blog! I love the Gliss Marrakesh Oil & Coconut range. My ultimate fav line so far has to be the Gliss hair repair with liquid keratin, it makes my life! Ultimate repair does it for me doll! I love the ultimate repair range.. I am absolutely obsessed with the Schwarzkopf Gliss Ultimate Repair line. I have been using it for 2 years and can’t get enough of it. It smoothes and adds shine to my hair, all the while helping it to smell like yummy chocolate. I recommend it to all of my friends – I absolutely cannot live without it! Hi Leigh! I Love the Gliss Marrakesh Oil & Coconut range. It has seriously worked wonders for me! La Petite Ferme looks amazing! I’ve never tried any products from the Hydra Miracle line (though I might, seeing as it doesn’t weigh hair down); my favourite is definitely Deep Repair – did I get that right? The ones in the gorgeous purple-pink bottles. It’s soooo romantic! If you’ve got someone special in your life right now def book a supper there round sunset time on the balcony and pop open a bottle of bubbles. It’s utter heaven! 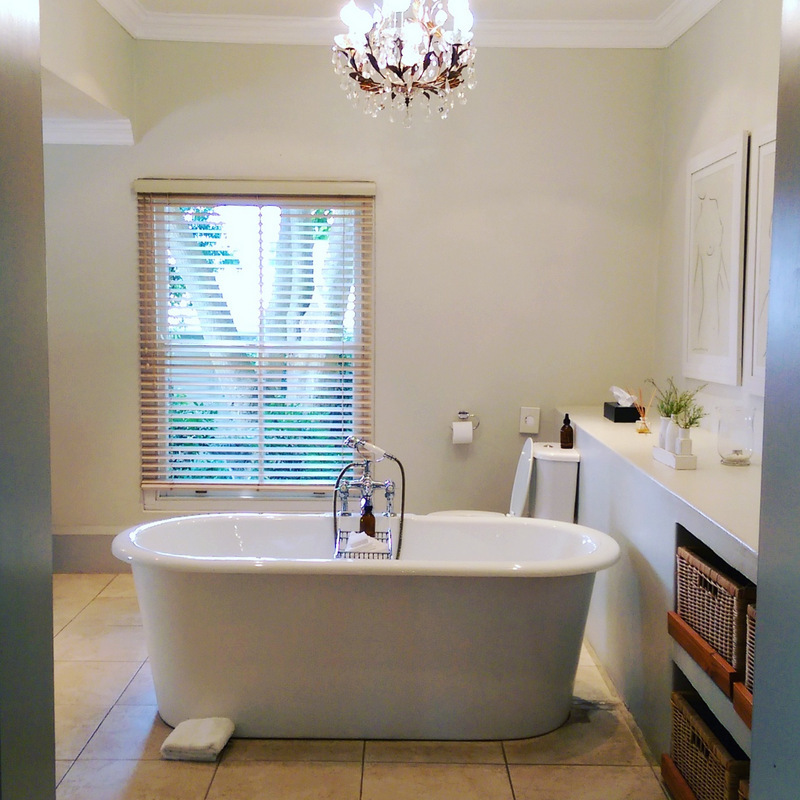 You make it sound so tempting… maybe one day when I visit Franschhoek again. I’ve used the Total Repair range, but it feels a bit too heavy for my hair. The Hydra Miracle range sounds amazing.